Reach a 680 credit score and the financial system will open to your needs, but you still might not be able to get the best rates available on loans. You’re in the sought-after prime lending category where traditional banks will start taking a second look at your application even if they still want you to jump through a few hoops. Getting to truly good credit might still take a year but there are a few ways you can take advantage of your credit score immediately and use it to get lower rates. 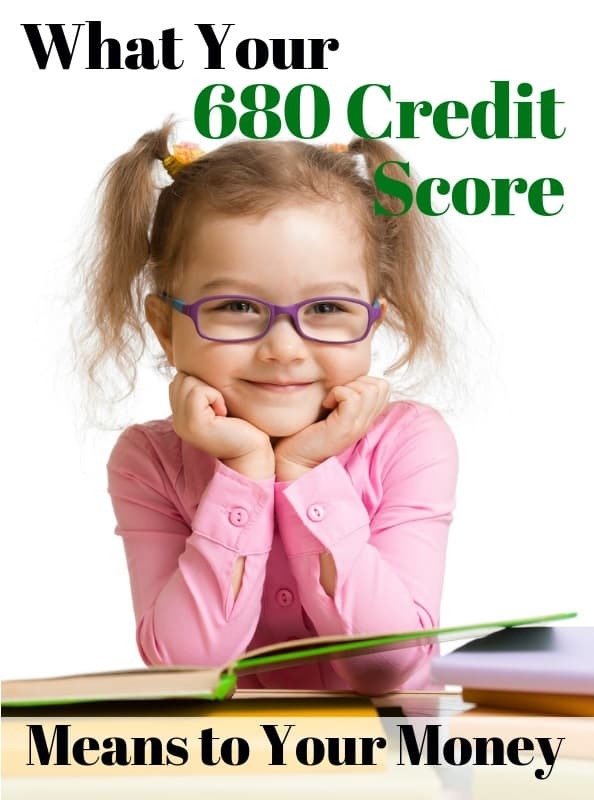 Let’s look at how many people have a 680 credit score and why it’s considered good credit before getting to those strategies to get the best rates. How Many Americans Have a 680 Credit Score? 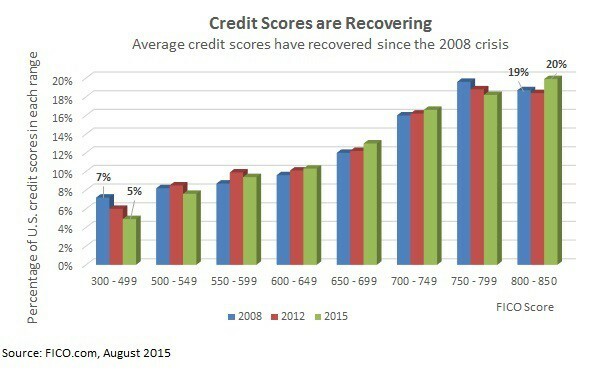 Credit scores have rebounded from the financial crisis but a lot of people are still locked out of the system. Banks aren’t opening up loans to regular borrowers and the personal loan sites mostly specialize in bad credit. With a 680 credit score, you’re just under the median for credit scores in America. Approximately 54% of Americans have a FICO above 700 with another 6% or so in that space between 680 and 700 FICO. The good news is that you’re well above the one-in-three Americans with a 650 credit score or lower. One-in-five Americans have a score of 600 FICO or lower, deep in sub-prime territory. How many people have a 680 credit score? Is a 680 FICO Good Credit? A 680 credit score isn’t the kind of FICO that will get you those sweet rates advertised on TV but you’ll start seeing your rates come down a lot. That’s because a 680 FICO is generally accepted as the cutoff for what’s called prime lending. Prime lending is the point where borrowers qualify for government guarantees on loans. That means the bank can sell your loan to investors and can charge a lower interest rate. Anything lower than prime lending is called ‘sub-prime’ and the bank will want higher rates to hold the loan, if they approve your application at all. Understanding whether a 680 credit score is good or bad means knowing why your score is at that level. Your score may be at this point simply because you don’t have much credit history. This is a problem for younger borrowers and the best thing to do is just make a point of using a small loan to build payment history. If you’ve ruined your credit with missed payments or a bankruptcy, it might take a while to build your score up. Those bad marks don’t drop off your credit report for years so it’s something lenders will see for some time. Is a 680 Credit Score Good Credit? You already had access to most personal loan sites with a 680 FICO but now traditional banks and credit unions will start opening their doors as well. Rates will still be a few points higher than what you see advertised but it’s nice having the extra options. We’ll go over some ways to use your credit score immediately and how to increase your score in the next section. The best strategy is going to be getting a short-term loan for a year or two while your credit builds. This will give you time to build your credit score and then refinance at a much lower rate. There is one warning here with your new credit score. It is much easier to destroy your credit than it is increase it. Just one missed payment over 30 days late can drop your FICO as much as 40 points and a loan default will cause your score to plunge as much as 100 points. Those pre-approved credit card offers will come pouring in now that you have prime-credit. Make sure you keep up that same spending discipline that helped you get to this point. You’ll need to build your credit score to over 720 FICO for the best rates advertised but there are some strategies you can use with a 680 score to start saving money now. Unless you need the money immediately, steer clear of a large mortgage loan at this point. The rate on loans over $40,000 is still going to be a fairly high. Instead, use a smaller personal loan to consolidate your debt or for smaller purchases. That consolidation loan is going to lower your rate and monthly payments on higher-rate debt from auto loans and credit cards. The monthly payments from this will help increase your credit score quickly and you’ll be able to get much lower rates within a year. How fast your credit score increases will depend on what’s on your credit report but you can usually get into that 700 FICO area within six months. I’ve created a credit score checklist with eight ways to increase your score fast. Will want to build your credit score over 720 for truly great rates but would recommend consolidating or refinancing loans immediately once you’re in that prime territory. Building to a 680 credit score is a great achievement and all that smart money management is getting you lower rates on loans. The financial system is finally opening up to the money you need and at rates you can afford. Your credit score should start increasing even faster so consider a short-term loan while you reach for those lower rates.